Immune checkpoint inhibitors (ICIs) are promising alternatives in cancer treatment in addition to surgery, chemotherapy, and radiotherapy. The basic mechanism of action of ICIs is releasing the brakes of the immune regulation, which is a crucial negative feedback mechanism for avoiding excessive immune reaction. Therefore, ICI therapy has resulted in outstanding success on the one hand and lethal immune-related adverse effects (irAEs) on the other, which are now becoming a major concern in further development of reliable cancer immunotherapy . Hematologic adverse effects in particular are life-threatening but occur relatively infrequently; 7 cases of hemophagocytic lymphohistiocytosis (HLH) following ICI therapy have been reported so far (4 cases of melanoma and 1 case each of urinary bladder carcinoma, Merkel cell carcinoma, and non-small cell lung carcinoma) [2, 3, 4, 5, 6]. There has been only 1 reported case of thrombotic thrombocytopenic purpura (TTP) following ICI therapy with ipilimumab . We encountered a case of multiple pathologies including HLH, TTP-like condition, and PF presumably arising from ICI-induced CRS. To our knowledge, ours is the first report to describe this. CRS has been reported in the setting of autoimmune disease and bacterial or viral infection. However, expanding indications and advancing effectiveness of ICIs would increase the incidence of this disease in cancer patients. 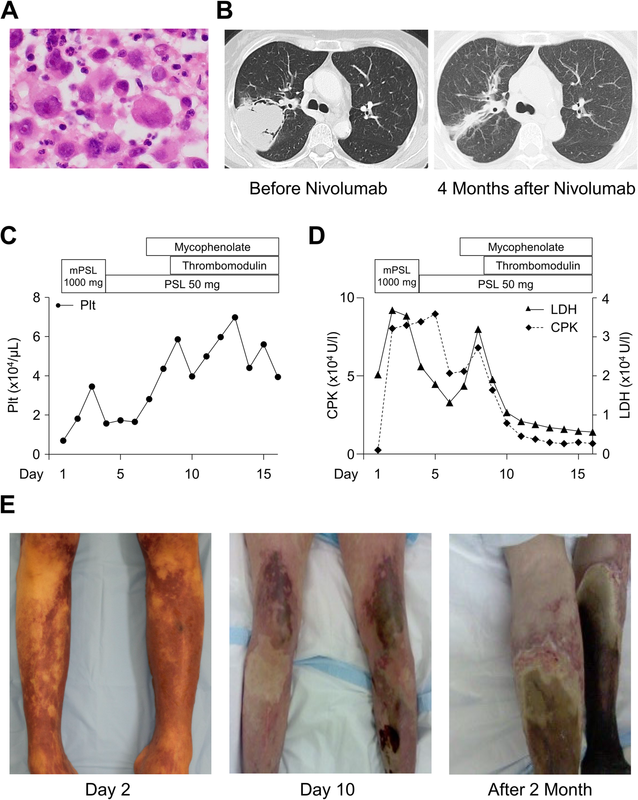 Although our current case showed significantly high blood concentration of IL-1β, IL-6, TNFα, and IFNγ when compared with previous reports of CRS [18, 19, 20], we did not use the inhibitory agents for inflammatory cytokines in this case because these were not yet recommended in the actual clinical setting at that time. 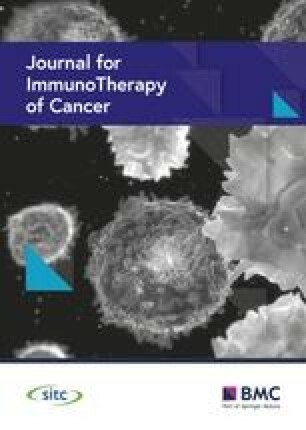 However, a study reported that administration of anti-IL-6 receptor monoclonal antibody (tocilizumab) was useful for treatment of CRS . Apart from tocilizumab, anti-TNFα and anti-IL-1 receptor monoclonal antibodies are also commercially available. Combination of these anti-cytokine medications would be a promising approach for treating CRS. Accumulating a large number of thoroughly examined cases and the resulting better understanding of this disorder should provide safer cancer immunotherapy.